The green card marriage process is best known for the first 90 days. In fact, a realty-TV series called 90 Day Fiancé is expected to enter a fifth season on TLC. But this is just the beginning of the green card marriage journey. A U.S. citizen that wants to marry a foreign national may bring the fiancé to the United States on a K-1 visa. For the foreign national to remain in the United States, the couple must get married within a 90-day period. After that, the couple has 640 days to prove to the U.S. immigration system that they have a genuine, bona fide marriage. The green card marriage process can also begin when the foreign-born spouse is already in the U.S. 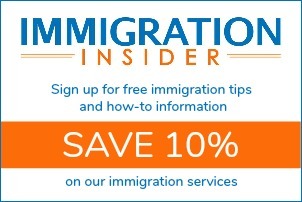 Although much of this information still applies, this article is about green card marriage that begins when the U.S. citizen brings his or her fiancé to the United States with Form I-129F, Petition for Alien Fiancé. Once the couple is married, the foreign spouse must file to adjust status to permanent resident (green card). The K-1 expires after just 90 days. Therefore, the foreign spouse must apply for the green card to remain in a lawful status. If the couple does not marry and the adjustment of status application is not filed within 90 days, the K-1 visa holder becomes deportable. If approved, U.S. Citizenship and Immigration Services (USCIS) issues the foreign spouse with a “conditional green card.” Conditional residence is a period of two years that USCIS uses to evaluate the merits of the marriage. Green card marriage fraud is one of the most common ways to evade immigration law in pursuit of a green card. This conditional period of two years gives immigration officials the opportunity to verify the marriage is bona fide. Within 90 days of reaching the end of this two-year period, the couple must file a joint petition to remove the conditions on residence (Form I-751). That one year and nine months equates to 640 days. Form I-751 is a request to USCIS to convert the conditional status to lawful permanent resident with a 10-year green card. In addition to the petition, the couple must send sufficient evidence to prove that they have a genuine marriage. So after overcoming the language barriers, cultural differences and skeptical friends and family, these couples must confront one more menacing obstacle – convincing the U.S. immigration authorities that the marriage is genuine. The stake are high. A failure to prove a bona fide marriage can result in deportation. 640 days pass quickly. Here’s how to productively use the time to prepare for filing Form I-751. It’s vitally important that these newlywed couples recognize the obligation to prove the merits of their marriage over the next 640 days. Thus, they should start preparing immediately. This is a big “honey do” list. So get started early. Getting married by itself isn’t proof that the partnership is born out of love. Through the process, set aside pieces of evidence that help demonstrate the care and effort you put into the wedding. In particular, evidence that shows how the couple shared in the effort and enjoyed the ceremony together can be beneficial. Examples of acceptable documents include: newspaper announcement of the wedding, photographs, receipts, and even copies of the sign-in book special messages. Receipts may be from wedding vendors and should specify the event and the participants by name (e.g. “Cake for the wedding of Richard Johnson and Victoria Hadley”). These documents help demonstrate the investment and importance of the marriage. Starting with the honeymoon, save documents that prove the couple traveled together. Travel to visit with family can be even more compelling. Examples of acceptable documents include: photos, transportation tickets (air, train, rental car, or bus), hotel reservations and bills, and passports with corresponding date stamps. Federal tax returns that show a filing status as married (filing jointly or separately) demonstrate shared financial responsibility. If you own a home together (or any real estate), a deed that includes both spouses’ names shows shared financial responsibility. 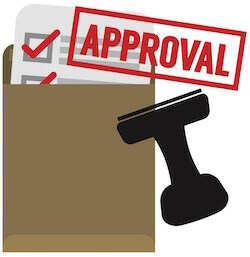 Other examples of acceptable documents include: the purchase contract, closing papers, mortgage agreement, mortgage account statements, property tax bills, home repair documents, and utility bills. If you lease a home, a lease agreement that includes both names can be used as evidence. Other financial accounts that show joint ownership of assets or shared liabilities can be very beneficial evidence. Some examples of financial accounts include: savings, checking, credit card, debit card, car loan, bank loan, certificates of deposit, mutual funds, savings bonds, retirement (pension, 401(k), retirement, etc. ), other investment accounts. Examples of acceptable documents include: statements (from the initial to the most current) and even the initial application. These records can be numerous. Provide a representative sample of about 10 records. A couple that is legitimately living a life together in marital union will most likely have joint insurance records. Types of insurance can include: health, dental, disability, auto, life, home, and renter’s insurance. Examples of acceptable documents include: policy, bills and/or account statements. These records can be numerous. Provide a representative sample of about 10 records. An affidavit “letter of support” is a letter written by someone that knows the couple and has first-hand knowledge of the relationship. The affidavit letter of support is not primary evidence, but it is supplemental evidence that helps support other evidence that the couple has a bona fide marriage. For more insight and information, read 33 Great Documents for Proving a Bona Fide Marriage on an I-751 Petition. The focus of any green card marriage interview is whether your marriage is bona fide. The immigration officer may ask how you met, where you met, when you met, your living conditions, whether you have met each other’s parents, employment schedules of each, and many other topics. They will ask questions about your everyday life to get a sense if the couple has a genuine, legitimate marriage. However, in many cases, a green card marriage interview can be avoided completely. Each year many applicants that have very well prepared I-751 petitions have the interview waived. That means that the evidence is so strong that USCIS determines that an interview is not necessary. Read more about avoiding the green card marriage interview. The entire process, from arriving in the United States with a K-1 visa to becoming a lawful permanent resident, can take approximately three years. For a more detailed look at the I-751 timeline, see what happens after filing I-751. For those that intend to naturalize as U.S. citizens, there’s some good news. The time spent as a conditional permanent resident counts toward your eligibility. Therefore, the foreign spouse can apply for citizenship using Form N-400, Application for Naturalization, just three years after becoming a conditional resident. In fact, some naturalization applicants actually file Form N-400 while the I-751 petition is still pending.